VCS Ltd are proud to offer a vast selection of products that compliment all types of vehicles ranging from front line Accident and Emergency vehicles to small minibus conversions. Rapid Response Vehicles (RRV’s) are becoming more common within the fleet structure of the NHS and Private Ambulance organisations. The VCS range of Front Line Ambulances and Bariatric variants is one of the most advanced vehicles being produced in Europe. We specialise in mobile clinic vehicles. Most of today’s modern Emergency Services require special purpose vehicles to deliver superior service. In addition to Emergency Vehicles, VCS also produce a diverse range on non Emergency Vehicles. Off road and retrieval vehicles are becoming more and more important and are ever present within the fleet structures. 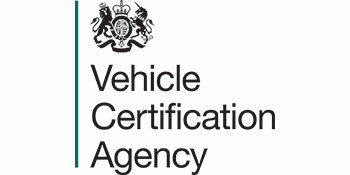 VCS specialise in Police and Defence vehicles. As a business VCS also acknowledges that it is a global market, as such there is a separate export sales function within VCS with a dedicated project management team. In every place where terrain and weather conditions are challenging, the choice of ambulance has always been a compromise. But no longer! VCS are proud to be able to offer various Specialist Components.